Get the series! Blood and Magic, Blood and Illusion, and Blood and Sorcery. 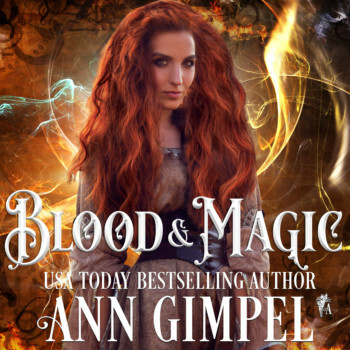 Blood and Magic: Magic didn’t just find Luke Caulfield. It chased him down, bludgeoned him, and has been dogging him ever since. Some lessons are harder than others, but Luke embraces danger, upping the ante to give it one better. An enforcer for the Coven, a large, established group of witches, his latest assignment is playing bodyguard to the daughter of Coven leaders. Click here for your free download of the first 10% of this book in ePub, Mobi, or PDF direct from Instafreebie. IAM GETTING THESE BOOKS ASAP!! IAM SOO EXCITED TO START THRM IAM GONNA POP!! Fantastic! love the cover art as well! I like the past you have woven in this story.